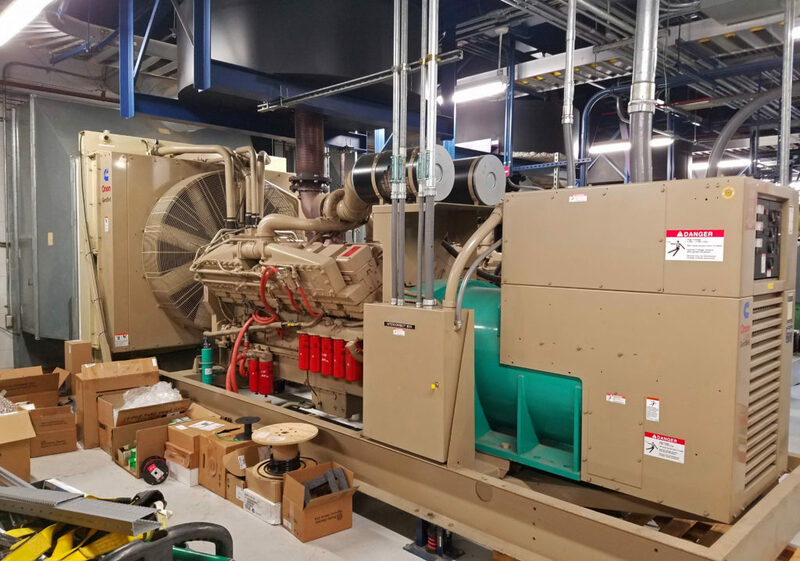 An emergency power system for the Port of Portland relied on Square D controls hardware that was nearing the end of its support window for programming and hardware availability. OCD Automation teamed up with a local electrical contractor, Quality Plus Services, to deliver an updated system as a replacement. The system controlled four 4,160V engine generators, and their associated main/tie/transfer breakers. Using designs from a 3rd party, OCD Automation manufactured a control panel to house new Allen-Bradley Logix hardware. OCD Automation converted the Square D program to AB’s Controllogix, and created an RSView HMI application for visualization and alarm logging. An extensive, four week long Factory Acceptance Test took place at the control panel manufacturer, where all inputs and outputs were simulated with switches and lights. Once on site, OCD Automation worked with a team of Port electricians, engineers, and electrical contractor staff to safely transfer control from the Square D system to ControlLogix. Some unique challenges with this project included adding automatic tiebreaker control between the four power busses, as well as frequency auto-synchronization. Along the way, troubleshooting and repair of existing hardware was necessary, including modifying the Square D PLC program with the DOS software product SyMate, so that the new and old systems could communicate via hardwired handshaking between discrete inputs and outputs.